Big Machine Label Group #CMAFest Meet & Greet Announcements! Big Machine Label Group has released their initial meet and greet schedules for the 2018 CMA Music Festival. Your favorite BMLG artists will be greeting fans throughout CMA Fest at the Big Machine Store and Distillery loacted at 122 3rd Ave. S and inside Fan Fair X at the the BMLG Booth (#300). 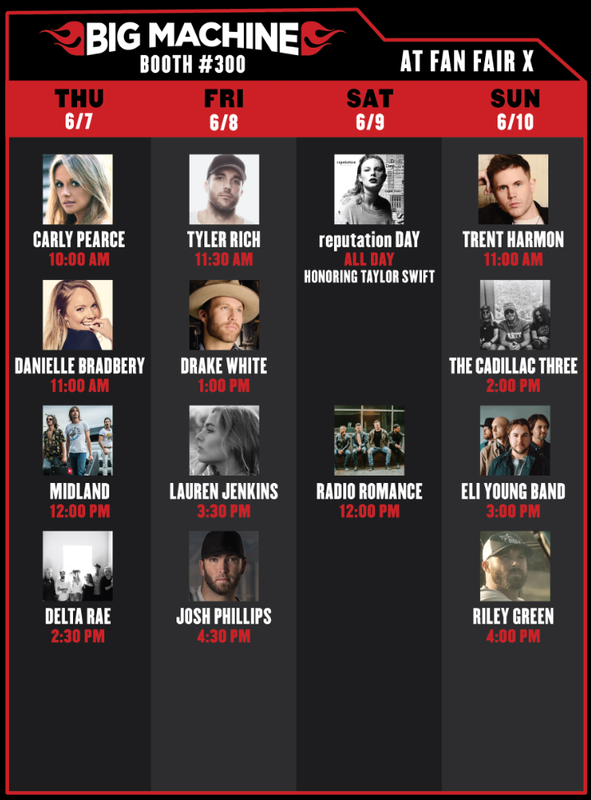 Artists participating in these events include: Brett Young, Carly Pearce, Danielle Bradbery, Delta Rae, Drake White, Eli Young Band, Josh Phillips, Lauren Jenkins, Midland, Radio Romance, Riley Green, Scott Borchetta, The Cadillac Three, Trent Harmon, and Tyler Rich. 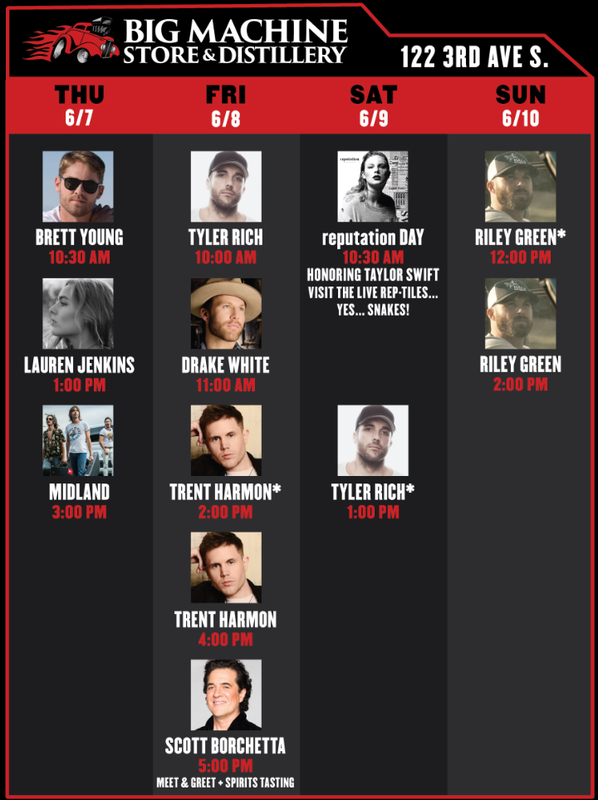 Times are in the images above and also included in our CMA Fest Autograph Schedule which now includes over 200 signings! Members can download from the Members Only section. To become a member, join now for instant access, or click here for more information!